I was having incredible difficulties in my life, so was my son. Out of the blue, I found Dr E and it has been a godsend. He did a reading for me and was able to pinpoint what was happening.I used the uncrossing baths for myself, my son and my home. The first time I bathed and cleansed my home with the uncrossing baths, I felt a change. My life improved. I was getting headaches at work; jealous people i worked with. 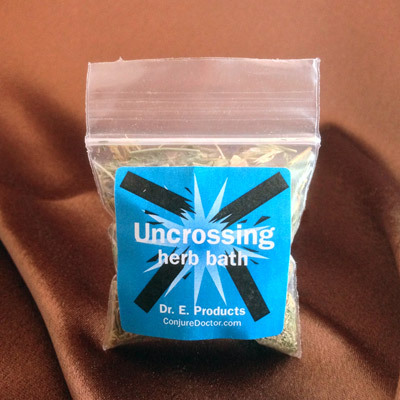 I used some of the uncrossing herb bath to cleanse my office and my headaches went away. Dr E is a blessing and I am so happy he is helping me. I am Native American and my mother, a tradional elder, was a little leary but she is a believer because she has seen the results.I am a faithful customer and have recommended him to my friends, who are believers too.